Metal service centers rely on their overhead cranes to handle moving large loads like they are plates, coils or structural tubing. The overhead cranes are designed with safety, reliability, and efficiency in mind. Whiting uses time-tested designs to build robust cranes that will handle the requirements of metal service centers. Our cranes ensure you can maintain full capacity operations for long periods of time, all while helping to keep your material handling costs down. 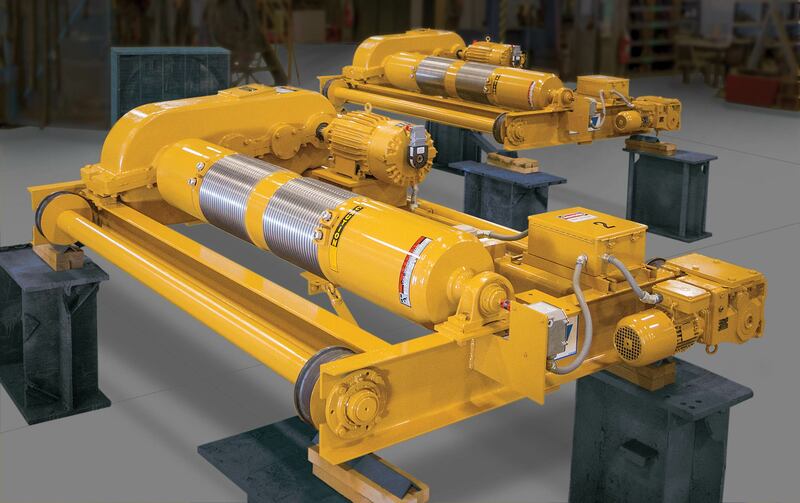 The EV Crane is the solution for businesses looking for a built-up lifting system without busting the budget or settling for a substandard packaged hoist. With hoist capacities from 5-30 tons, and pre-engineered spans up to 100 feet for single or dual trolley configurations, Whiting will deliver an EV Crane quickly to fit your production schedule.